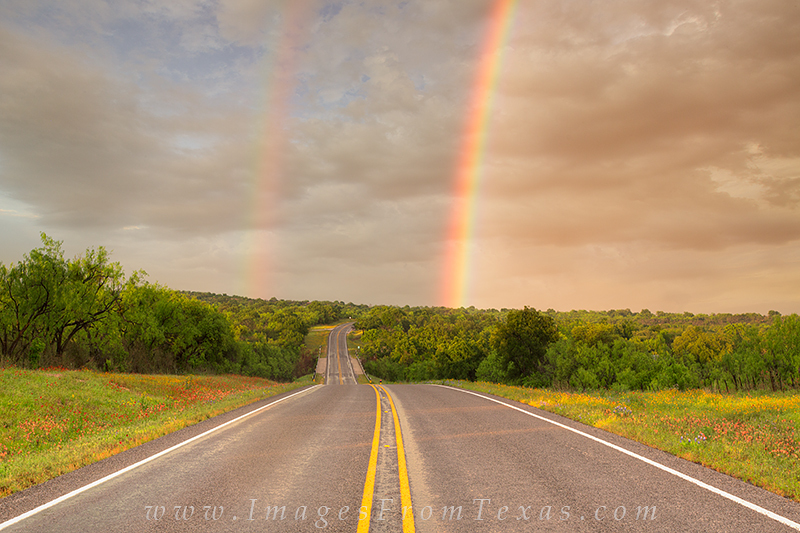 On Highway 29 between Llano and Mason, a rainbow formed after a crazy storm passed over the area. I had gone here to photograph wildflowers, but my attention was taken when this beautiful double rainbow formed. Photo © copyright by Rob Greebon.